SIRA approved for Zone I and Zone II hazardous areas. Certificate number SIRA 02 ATEX 3111. Suitable for Zone 1, 2 (gases) and Zone 21, 22 (dusts). Protection EEx(e). II T6. 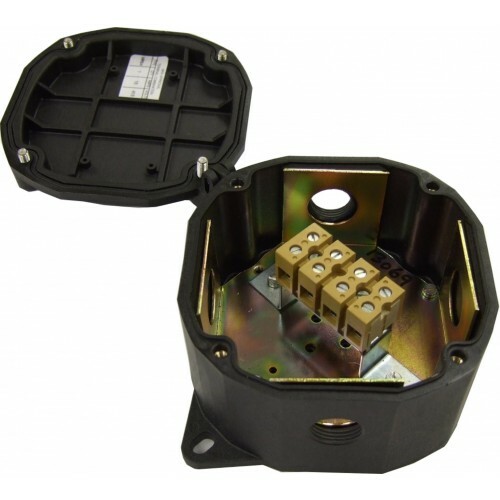 Type JBHZM are ATEX approved hazardous area junction boxes suitable for the safe interconnection of trace heating cables. Made from fire retardant glass reinforced polyester and weighing only 600g the unit is light and allows easy and flexible installation.